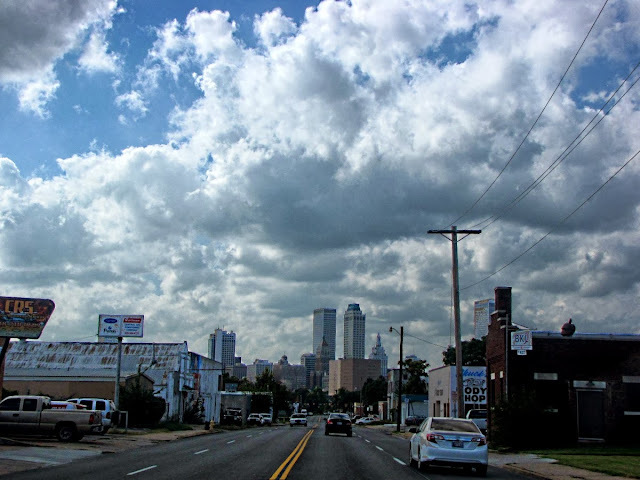 Downtown Tulsa looking west along 6th Street. I think Tulsa has a nice skyline seen from any direction. This is a nice place to live. Regardless of how long I've been gone and the fact that I will probably not live there again, Tulsa will always be my hometown. Nice shot of Tulsa downtown. Been through there several times but never really spent much time there. Intriguing shot. Great perspective. I once knew a girl named Tulsa. She was from Milwaukee, LOL. I have never know anyone who was named "Tulsa". There must be an interesting connection.